Sensifai offers automatic image recognition and tagging. For example, our basic software recognizes thousands and thousands of objects/scenes and concepts in images such as flowers, landmarks, objects and animals. In Sagemaker platform, you can easily fine-tune this software to recognize a new set of concepts and tags by providing the required training dataset. Sensifai's general image recognition system covers thousands of concepts (this software is accessible through AWS marketplace). However, customers and users often deal with a new set of concepts and objects. Therefore, we have designed an easy-to-use interface which automates the process of training a image recognition/tagging system. You can use Sensifai's interface through Sagemaker to develop a image recognition system that covers your set of concepts for your own specific usecase. Provide a training dataset and create your own image recognition/tagging system immediately. 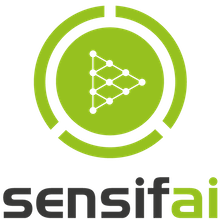 If you do not have dataset for training or looking for pre-trained models for image recognition or other domains of video/image analysis, you can check our ready to use API or contact us directly (sales@sensifai.com).